Avast, me hearties, the seas have been rough and we’re puttin’ in to port. When yer through swabbin’ the decks, yer might wants to spend yer plunder at yonder Treasure Tavern, arrr, it be the hottest new dinner show fer weary mates. Shiver me timbers! That’s right, there’s a new show in town. In the 240 seat theatre connected to the Pirate’s Dinner Adventure on the popular International Drive strip, comedians, acrobats and dancers will entertain you in a themed Caribbean outpost with rum and good times. The two hour festivities feature a three course prime rib dinner and ala carte appetizers. They’ll throw in a signature rum punch for good measure. Open Tuesday through Saturday the cost is $49.95 ($24.95 if you opt out of dinner) and you must be 18 to enjoy. Enter a time gone by when sailors and travelers would spend hours in exotic ports-of-call. It’s one of the few venues in town that does not focus on entertaining the children. Mrs. LanceAround and I got a glimpse of the Tavern at our monthly Central Florida Vacation Rental Managers meeting. 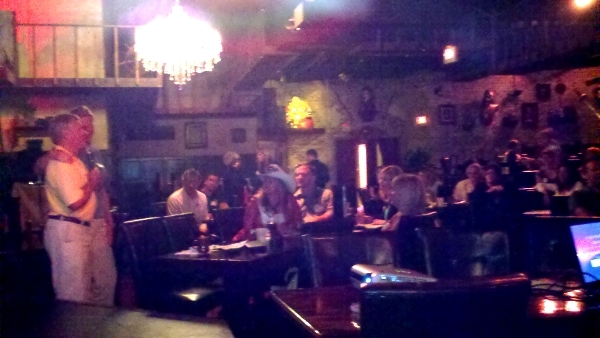 We were impressed with the layout of the tavern, bar and stage. The technical details, such as lighting and sound, were excellent. Unfortunately, we haven’t seen the show yet. 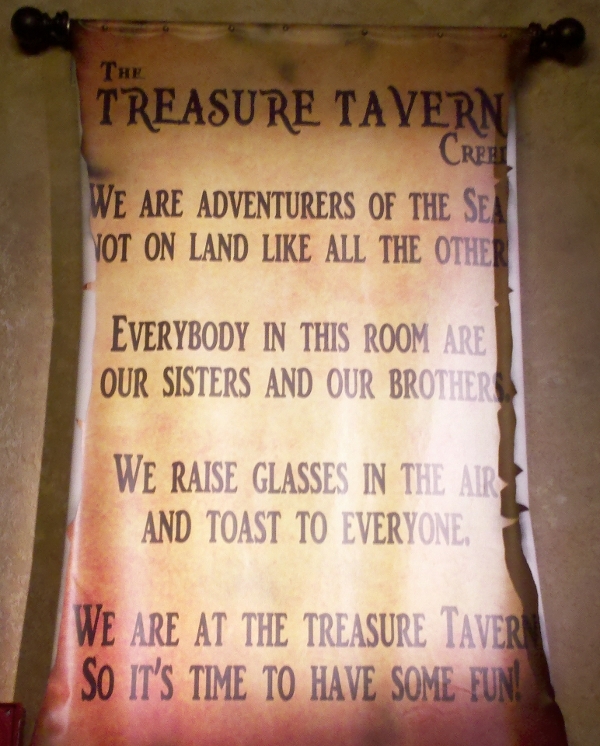 If you’ve experienced the Treasure Tavern, leave a comment and let us know how it is. This entry was posted on August 26, 2010 at 10:15 am and is filed under Intimate Dinner Show. You can follow any responses to this entry through the RSS 2.0 feed. You can leave a response, or trackback from your own site.